WASHINGTON - Several of the nation’s leading technology entrepreneurs and venture capitalists, along with members of the Black technology community will take part in the Congressional Black Caucus Foundation’s (CBCF) 41st Annual Legislative Conference (ALC) at the Walter E. Washington Convention Center to discuss tangible efforts to increase Black participation in the high growth technology industry. 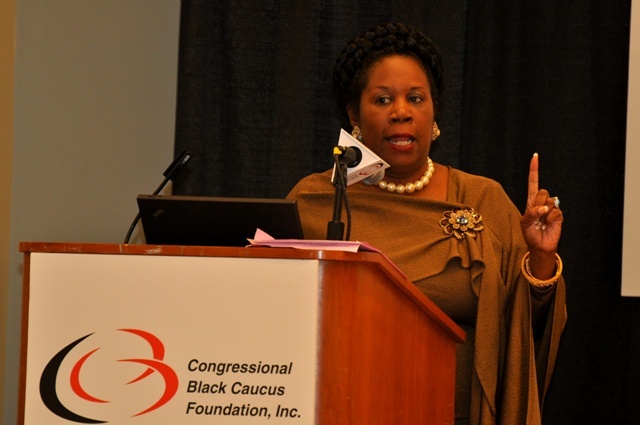 Rep. Sheila Jackson Lee of Texas will host an issue forum, entitled “African Americans: Joining the Leading Edge of the High Tech Boom” during the ALC on September 23, 2011 from 10:00 a.m. – 12:00 p.m. The forum will bring together panellists: Scott Case, chief executive officer of Startup America Partnership and co-founder of Priceline.com; Ben Horowitz, general partner of Andreessen Horowitz (investor in Facebook, Twitter, and Groupon); Rep. Jared Polis of Colorado and, co-founder of ProFlowers.com and Techstars Incubator; Charles Hudson, partner at SoftTech VC; Tristan Walker, business development at Foursquare; Pauline Malcolm-John, executive vice president at WeeWorld Inc.; Regina Wallace-Jones, senior director at Yahoo Inc.; and Amos Winbush, chief executive officer of CyberSynchs Inc. The four-day ALC is from September 21-24 and provides an outlet to highlight the mission of CBCF – developing leaders, informing policy and educating the public by providing more than 80-high level, thought-provoking forums to address the critical challenges facing the African-American Diaspora. Free health screenings, a career fair, interactive financial sessions, networking opportunities and cultural activities will be offered during the four-day event. This year’s conference theme is iLead|iServe. ALC attendees will have many opportunities to share their thoughts and experiences on leading and serving – how and why they do it, the value of each, and the impact of each within their lives and their communities. The conference will use social media, a town hall meeting, brain trusts and personal interaction to further encourage discussions and follow-up conversations among attendees.